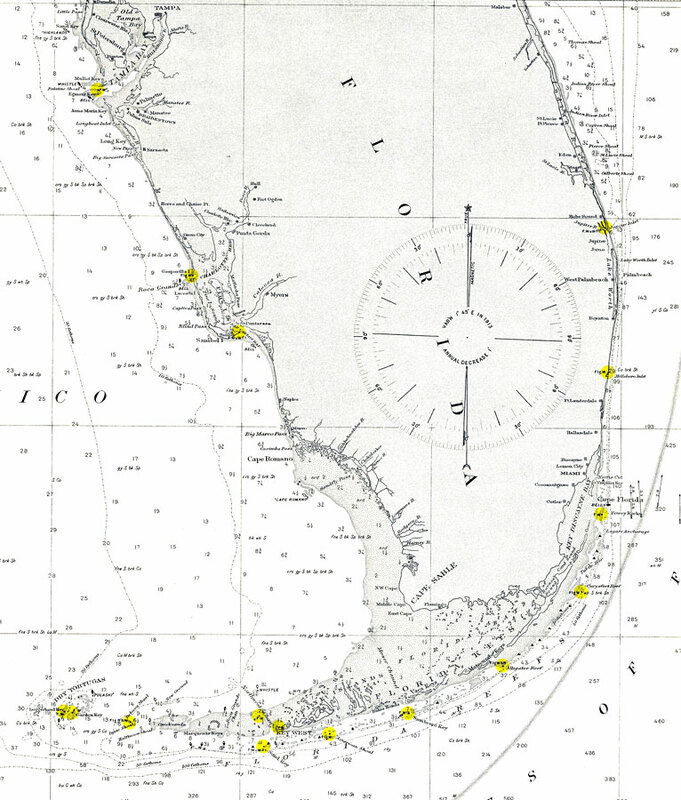 Description: A United States Department of Commerce and Labor map of the Straits of Florida current to 1908. This Coast and Geodetic Survey chart shows all soundings expressed in fathoms and heights in feet. Navigational aids such as the direction and velocity of the Gulf Stream, lights, beacons, and measures of magnetic declination variances are shown. Key to NOAA maps.